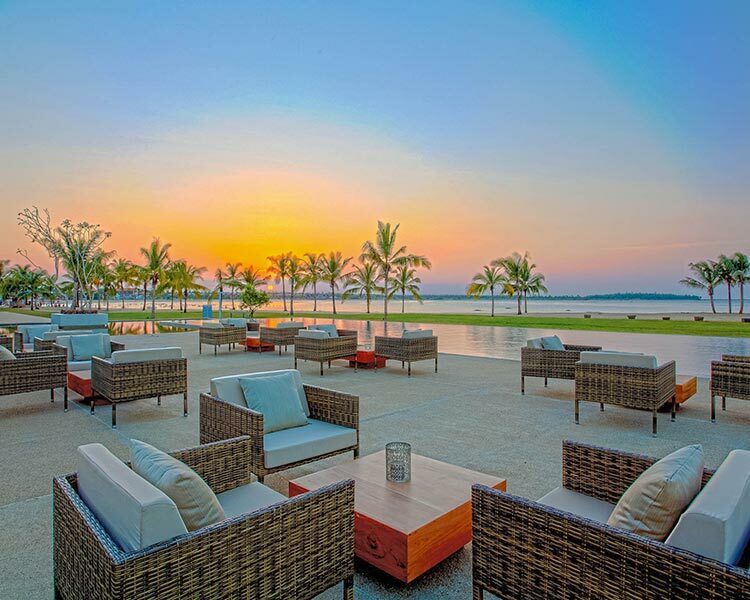 Dip your feet in the sparkling shores of Passikudah, Sri Lanka at Uga Bay, a spectacular beach hotel. 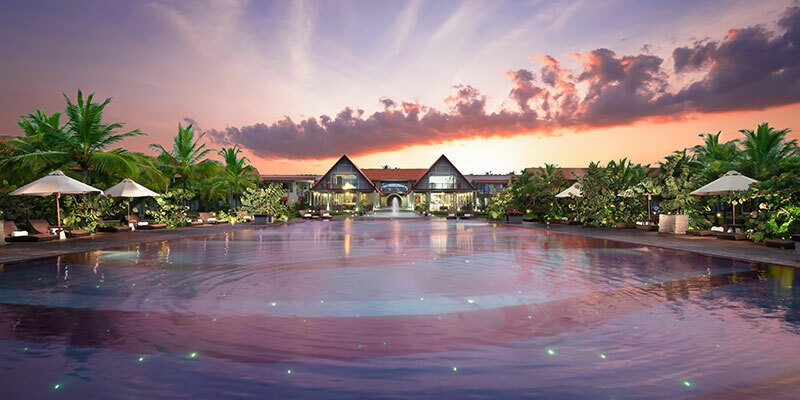 Boasting of an idyllic position, the beautiful resort is a heavenly sight for holidaymakers. At night, underneath the starry skies, the hotel glows in hues of blue in the dark. 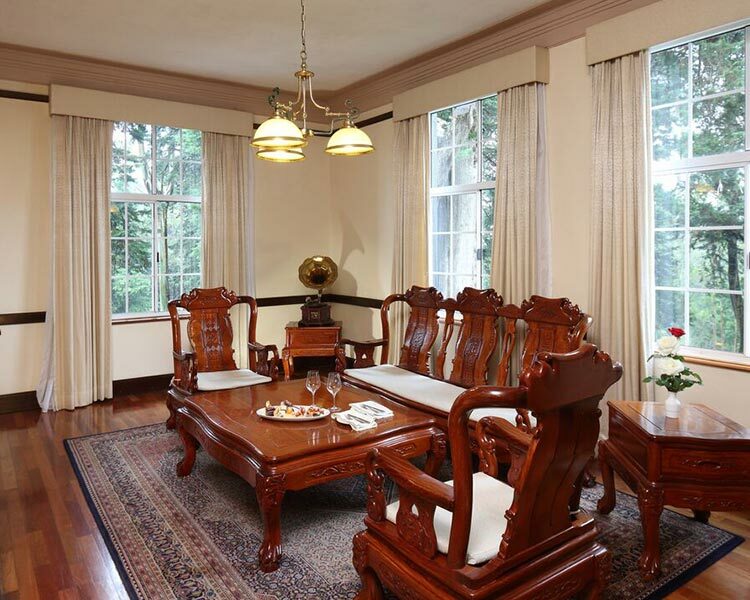 Maintain 46 spacious rooms, the resort is agreeable for both the travelling family and the single vacationer. The Beach Studio furnished in timber and its own private terrace invites the solitary traveller to recline in its cosy ambience. 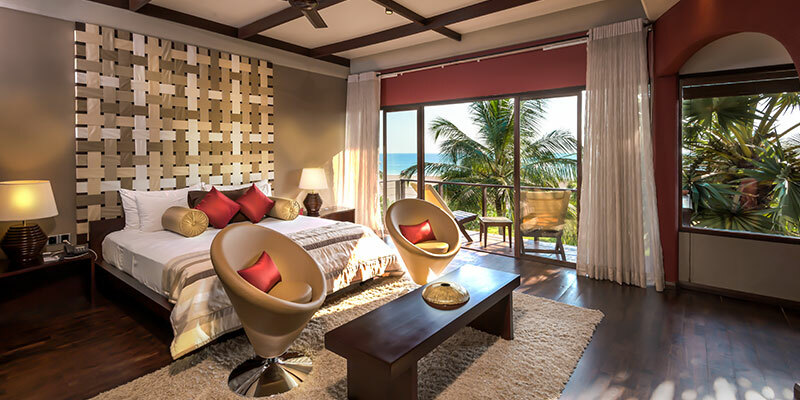 An opulent space for the vacationing duo, the Ocean Suite provides scenic views of the garden and the sea. 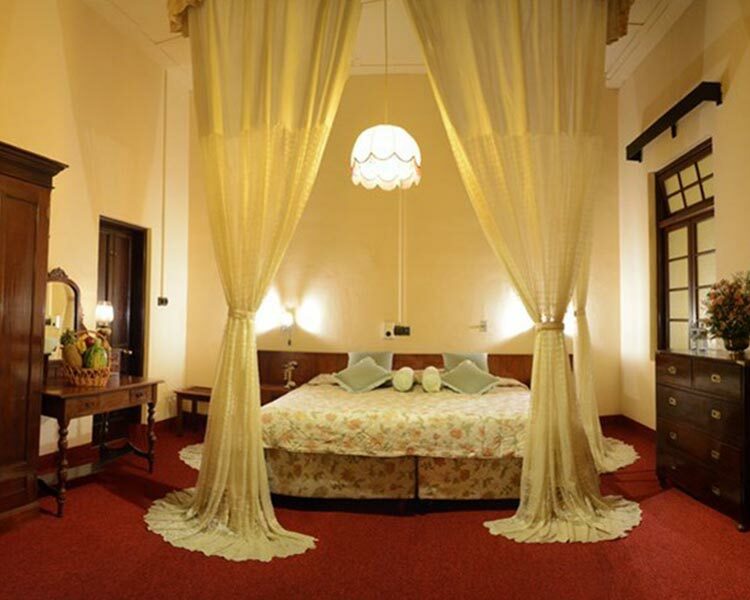 The plush accommodation is equipped with a private balcony and a large bathroom with an outdoor shower. 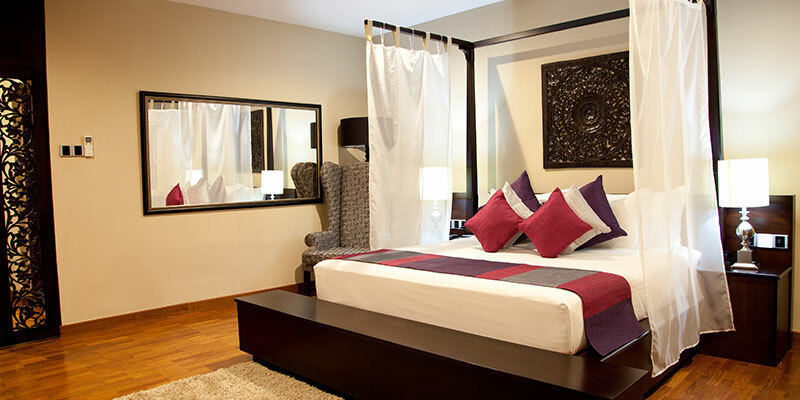 A romantic interlude for couples, the Bay Suite is a spacious accommodation. An intimate getaway for honeymooners, the suite is finished with a cantilevered plunge pool. 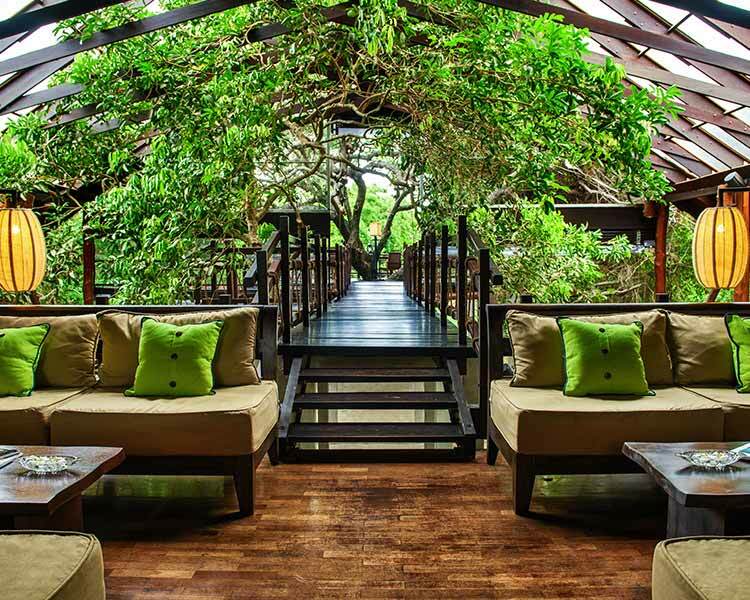 A luxurious escape for the exclusive family, the Beach Villa features an uninterrupted access to the beach, a natural pond and an outdoor bar. The two-storey chalet is finished with a dining room, living room and two bed rooms. 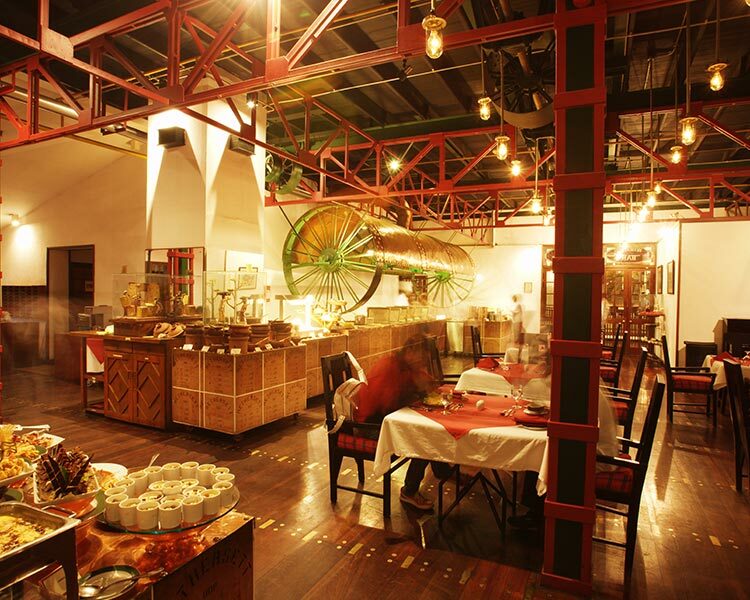 Catering to the adventurous palette of the foodie traveller, the restaurant at Uga Escapes serves a fusion of cuisine. 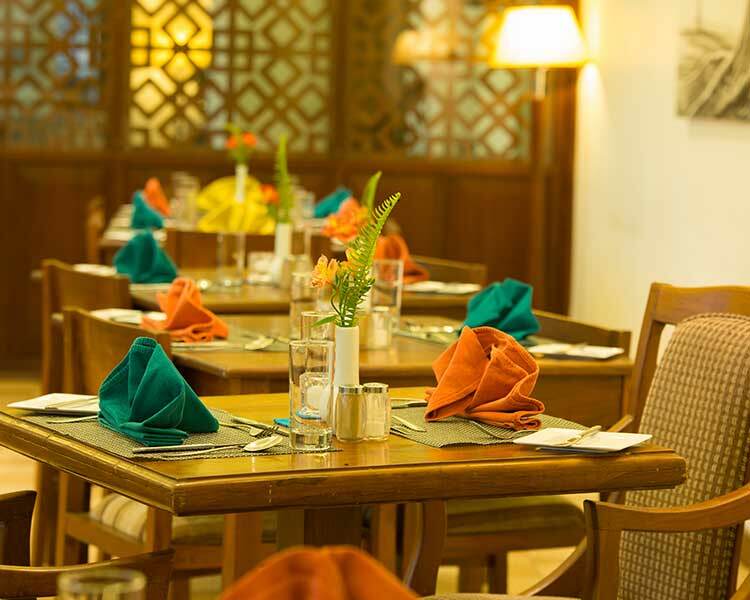 Using the finest ingredients, the kitchen here produces quality dishes in par with standards of fine dining. 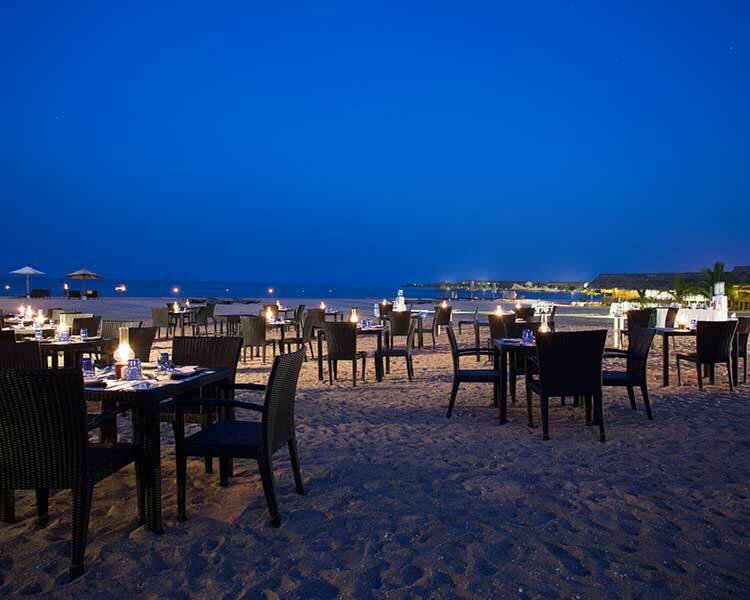 Feast on freshly prepared sea food while sipping a glass of chardonnay on the silky sands of the beach. 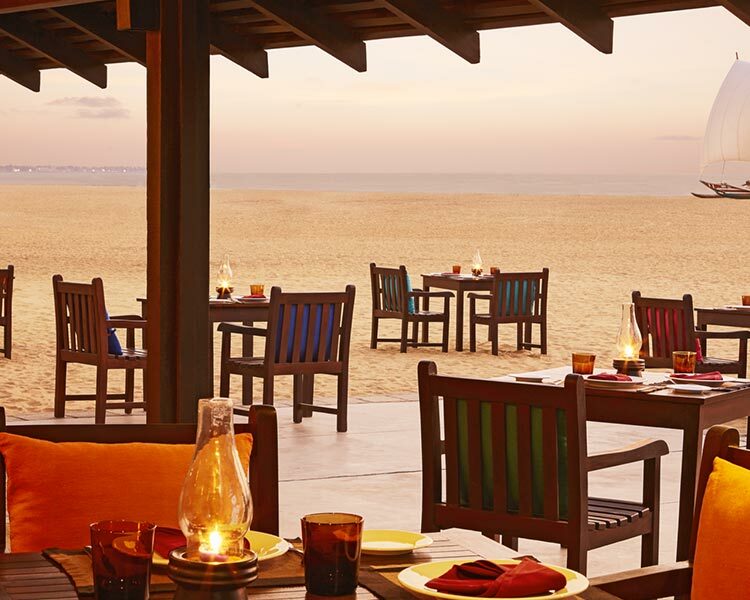 Dine in the glorious seclusion of your own suite courtesy the convenient private dining facilities at the resort. 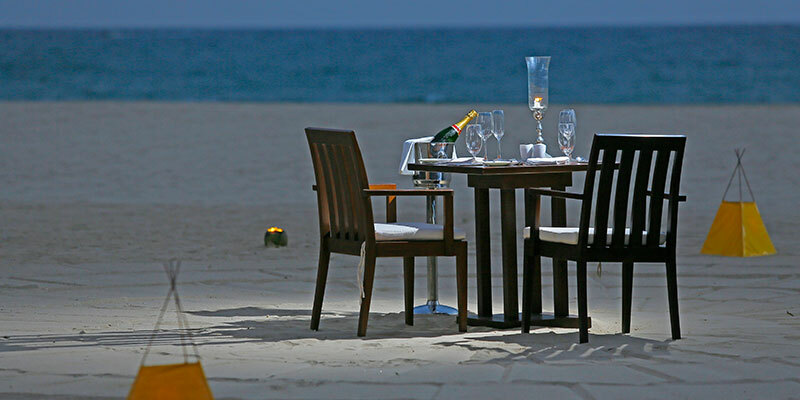 Saying I do on the exotic shores of Passikudah is an effortless task at Uga Escapes. The events team here with their expertise will make certain that your wedding is a magical one. An unparalleled venue and a delicious menu will help make the most important day of your life an unforgettable one. Business travellers seeking for a holiday on their corporate retreat should look no further than Uga Escapes. The multimedia centre armed with state of the art technologies has hosted successful meetings, presentation and conferences. Rejuvenate your entire being under the soothing hands of skilled therapists at the spa. Seamlessly combining the natural splendour of the region in their therapies, guests are guaranteed to feel rejuvenated. Providing for a wide range of treatments including Ayurveda, revitalising your mind on your holiday is a guaranteed consolation at the spa. Pleasing the thrill adrenaline pumped traveller, Uga Escapes offers a range of water sports. 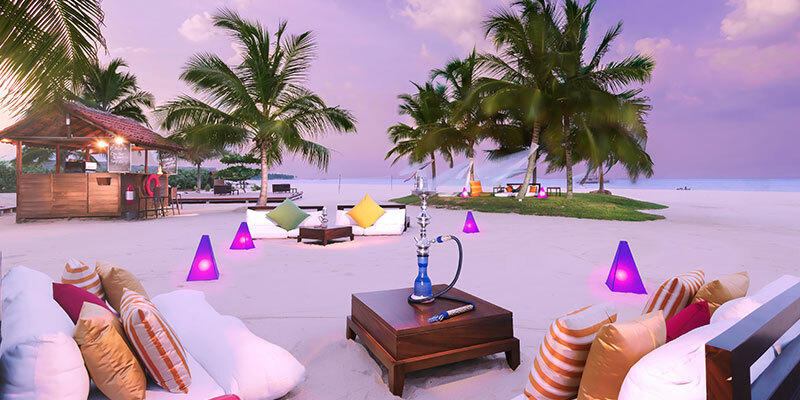 Taking advantage of its friendly shoreline, the resort facilitates snorkelling, diving, jet skiing and more. Savour a sliver of paradise here at Uga Escapes.